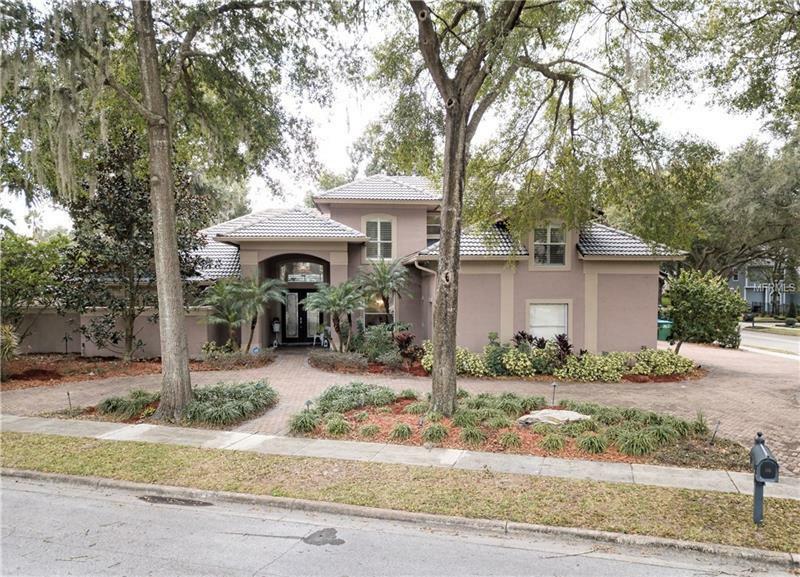 Gorgeous home in the jewel of Maitland, Stone Hill neighborhood with easy access to Interstate 4 and near exclusive Park Avenue in Winter Park. Corner lot with great curb appeal. Fabulous layout with all of the right spaces. Entertain beneath the vaulted and tray ceilings. Prepare amazing meals for 2 or 20 in the well appointed, gourmet chefâs kitchen. Relax in the family room near the fireplace. Spend time with friends and family around the covered pool area and host intimate gatherings in the recreation room with study or the bonus room. Expansive master bedroom suite with marble accented bathroom complete with jacuzzi bath and large glass shower and two large walk in closets. Pet Restrictions: Information to be confirmed with association.